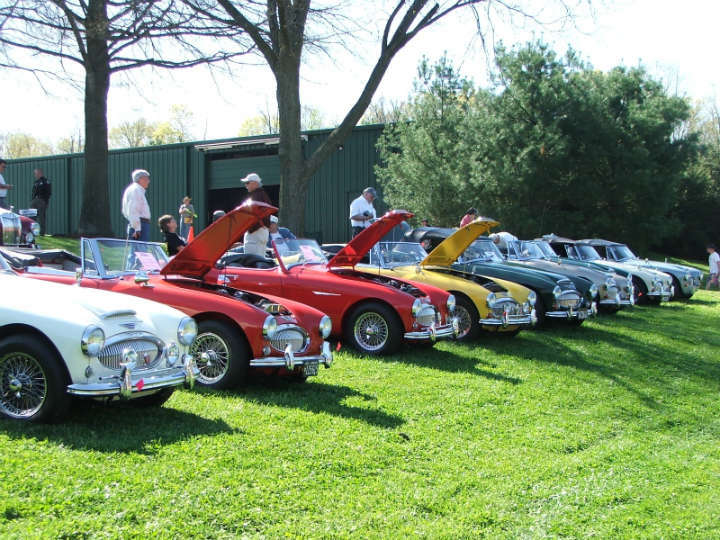 Where would you find six Triumph Italias in the same place at the same time? 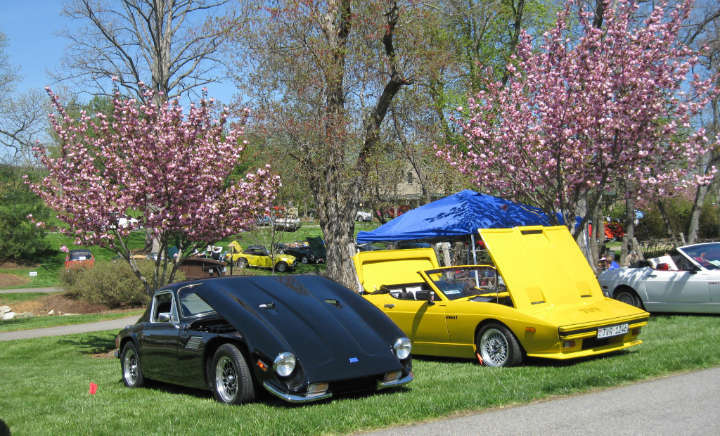 At the 24th annual South Central British Car Gathering held April 17-19 in Dobson, North Carolina, that’s where! 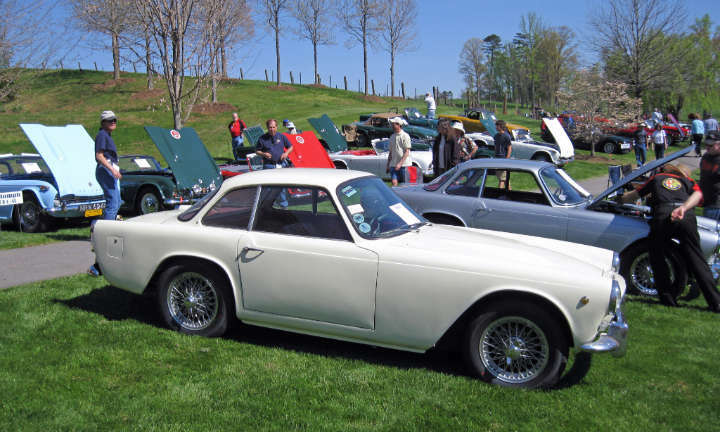 Sponsored by the Triumph Club of the Carolinas, this 3-day event has grown to become one of the preeminent British car events in the Southeast. 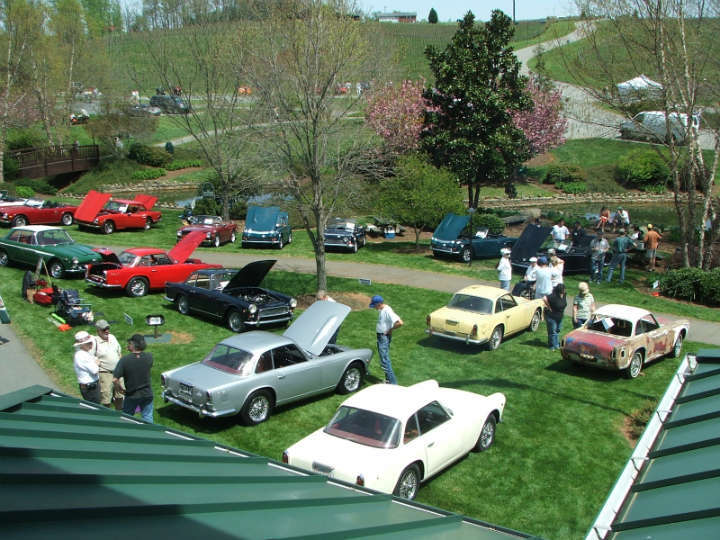 This year, the event had something for everyone, from the picturesque rallye on the Blue Ridge Parkway and parts and accessories auction on Friday to the tire squeals heard during the autocross on Sunday. 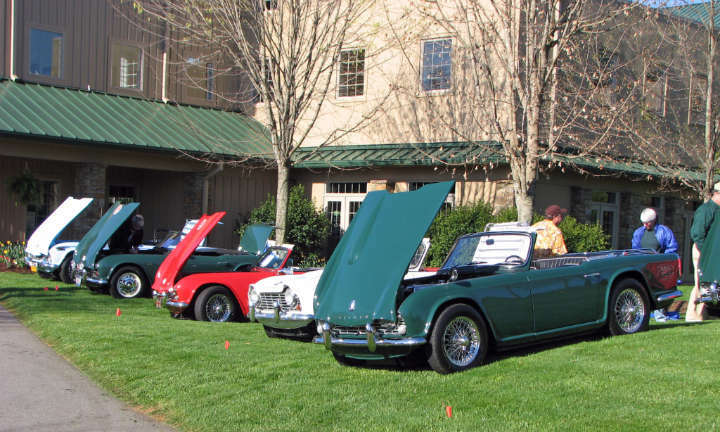 The six Italias, organized by Vintage Triumph Register Italia coordinator Tyrone Stoner, were the featured marque and one of the highlights of the event. 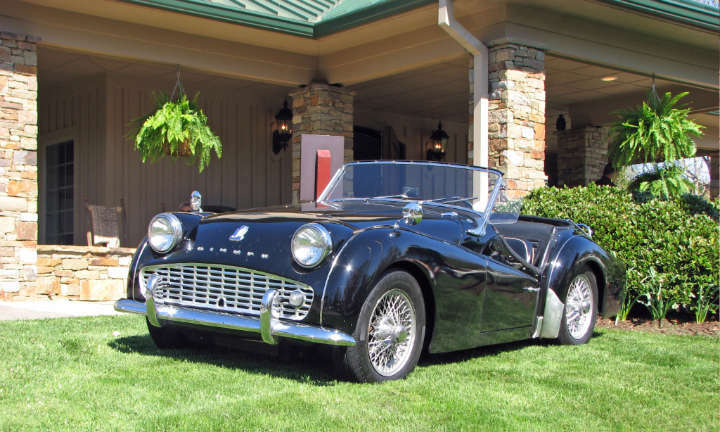 These specially bodied cars based on the TR3 were designed by Michelotti and bodied by Vignale from 1959 to 1963. Approximately 300 were produced, although no one is quite sure! 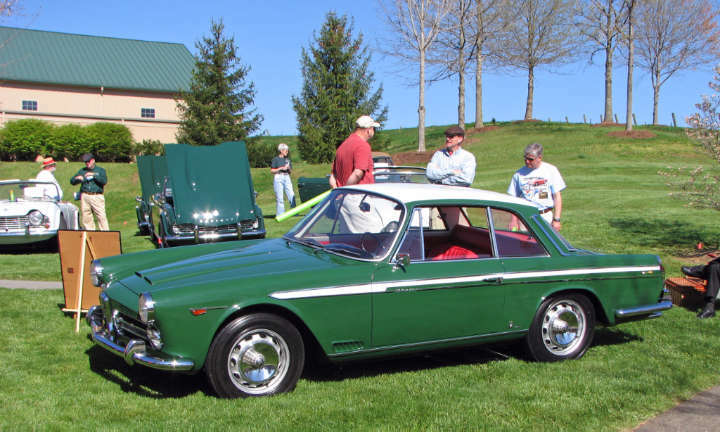 As far as we know, this was the largest accumulation of Italias in one place at one time since they left the factory. 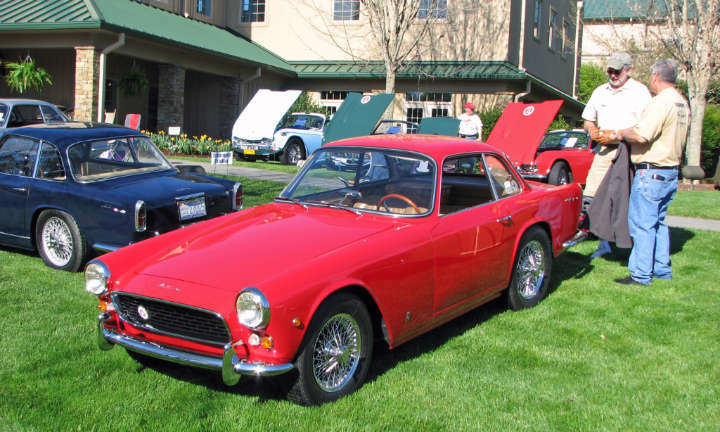 In addition to the Italias, there was an ultra-rare Michelotti-designed and Vignale-bodied Alfa Romeo 2000 that complimented these Anglo-Italian hybrids. 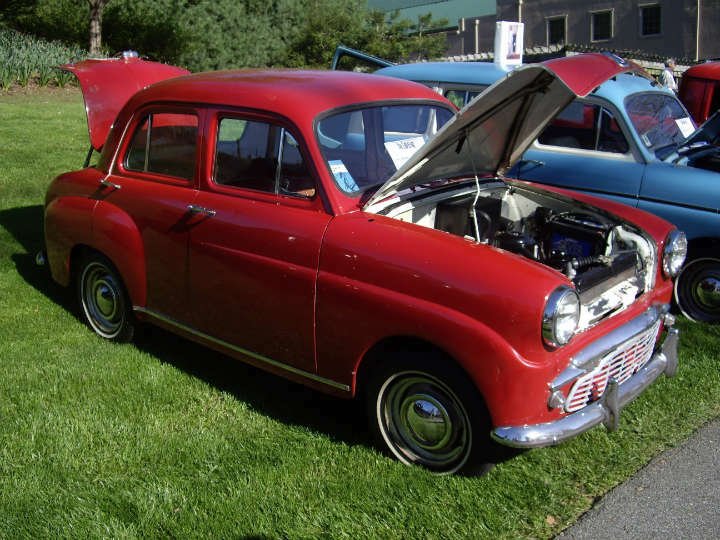 Altogether there were over 250 British cars on display during the show on Saturday. 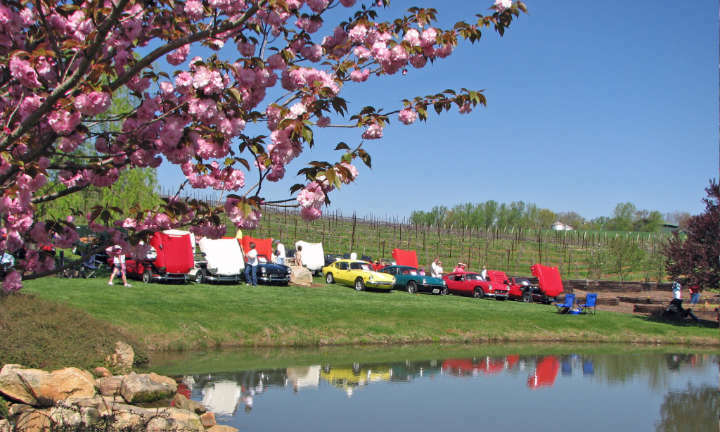 With the show taking place on the grounds of the beautiful Shelton Vineyards winery, the scenery was exquisite and as varied as the marques present. 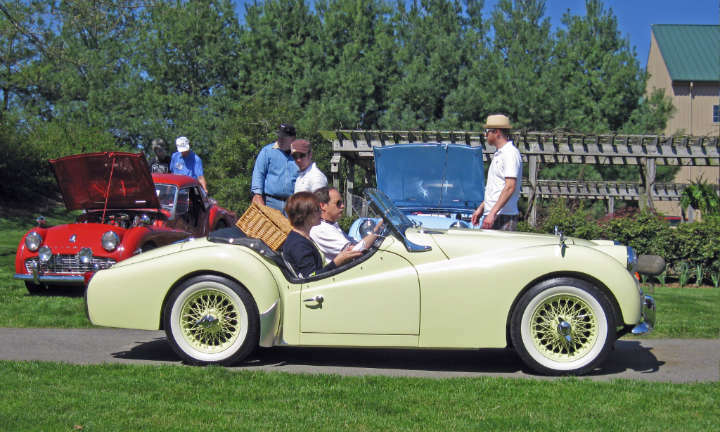 In addition to the more common MG’s, Triumphs, Jaguars, and Austin-Healeys, there were Allards, Lotuses (Loti? 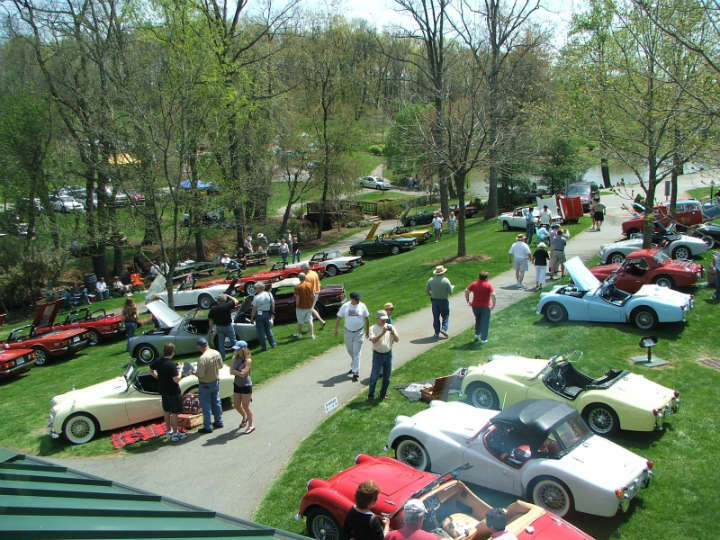 ), Sunbeams, TVR’s, Mini’s, Standards, Morgans, and even a Marcos vying for prizes and generally just enjoying a beautiful spring day in the Carolina mountains. 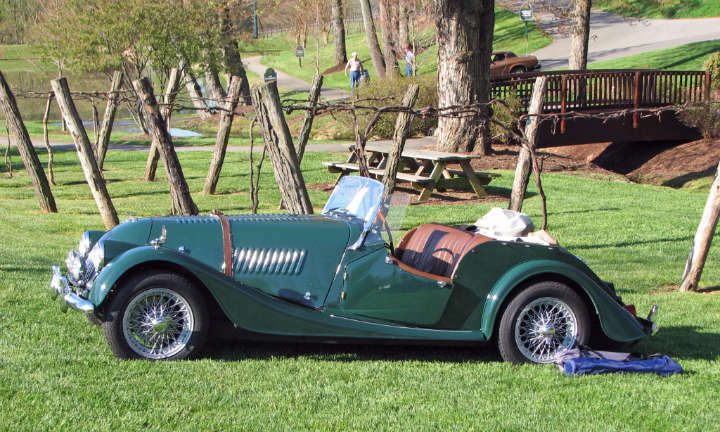 While the rallye on Friday afternoon could be challenging for those inclined to try to answer every question, Rallyemeister Ron Hassell prepared a beautifully scenic 50+ mile route through parts of both North Carolina and Virginia that had some scrambling for second gear up some of the twisting mountain roads. Sunday saw about 30 brave participants autocross their cars around a course prepared by the new VTR Event Coordinator Jack McGahey. One notable participant was Dave Hutchison’s Italia, pushed to the limit by Dave. Dave easily won the Italia class at the autocross! 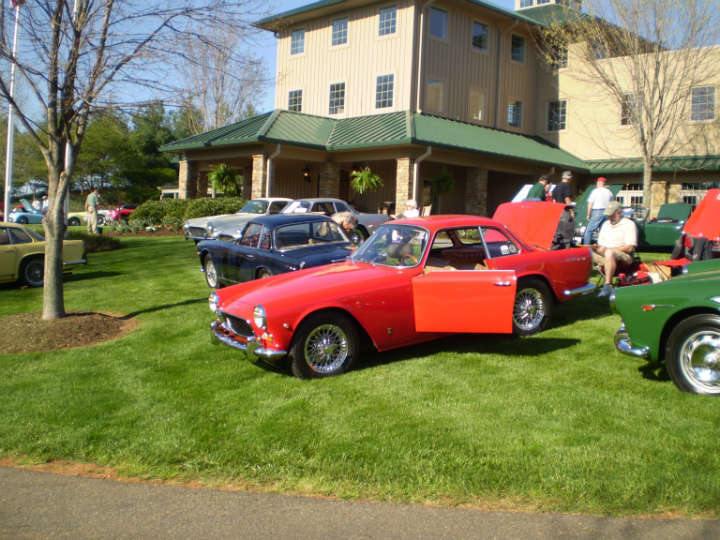 The Triumph Club of the Carolinas would love to invite you to next year’s event. 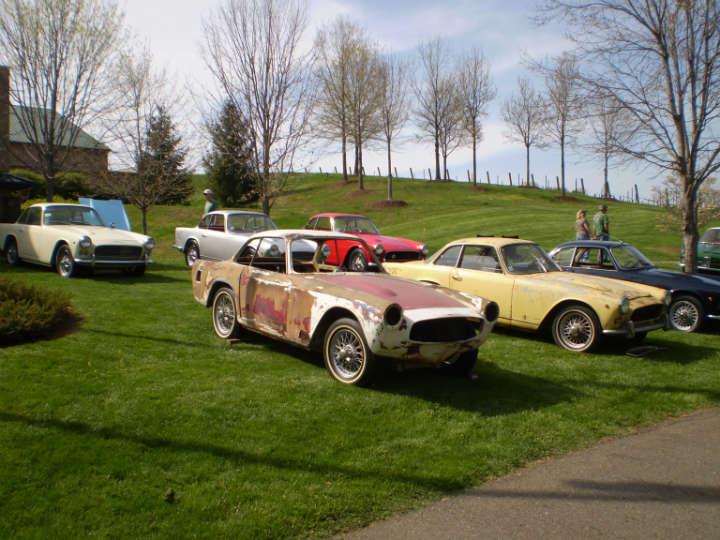 Next year’s event will be held April 16-18 in Dobson; for more information visit www.triumphclub.org. 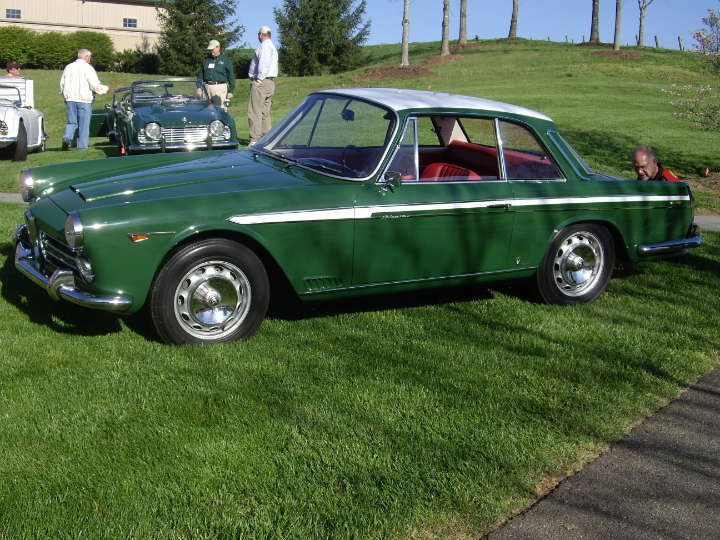 “Feature Car”, Triumph Italia 2000 Gran Turismo Coup’e celebrates the 50th Anniversary of the British/Italian masterpiece. 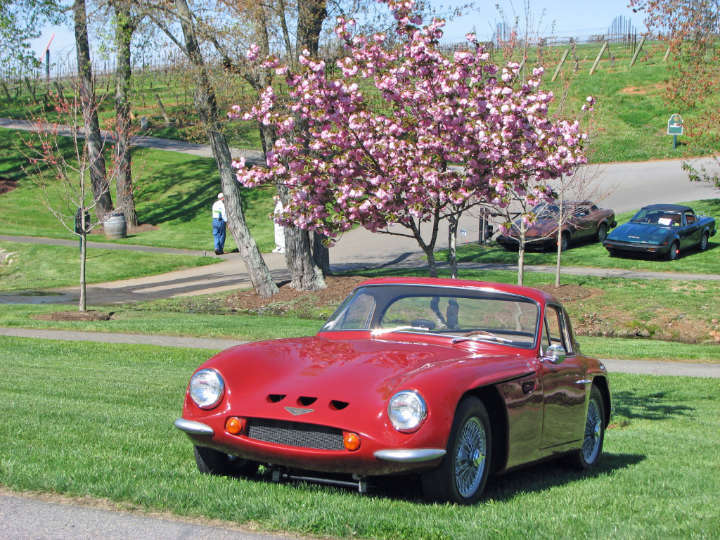 I want to express my appreciation to Tyrone Stoner and the organizers for inviting me and my 1960 Alfa Romeo, Vignale bodied Coupe to this wonderful British Auto event. 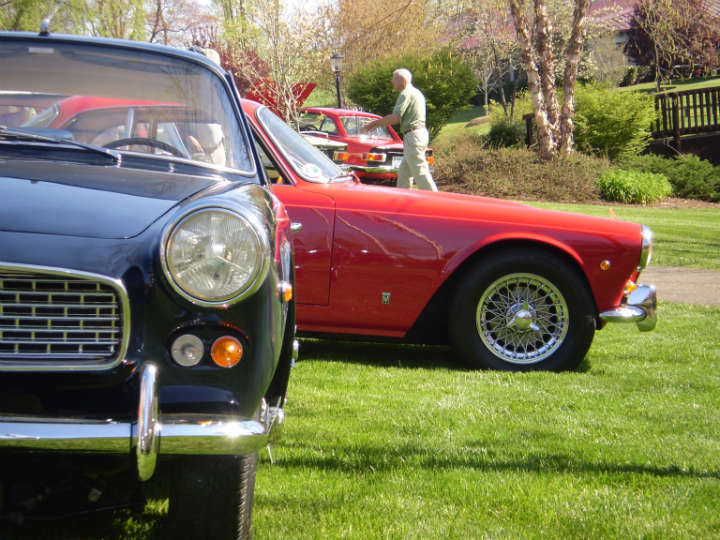 It was an honor to be displayed among the rare Triumph Italias. I really enjoyed networking with the participants and spectators. 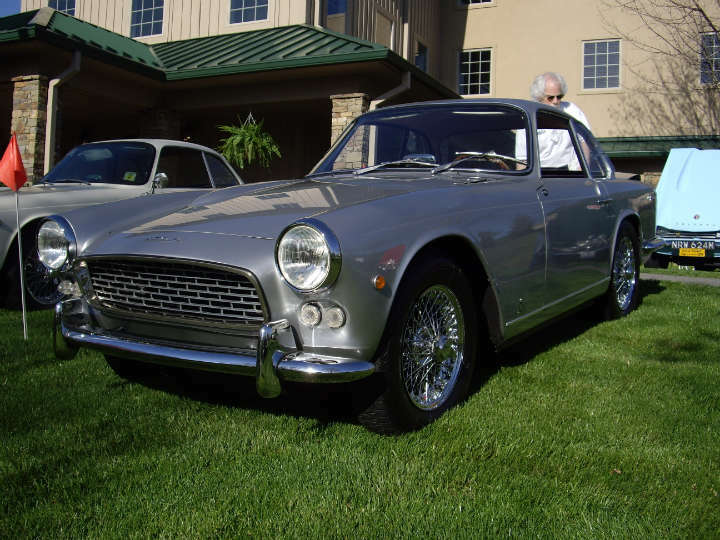 Many wondered “What was an Italian car doing in a British show?” It was fun describing the characteristics of the Vignale coach builder. I am a german owner of a TR Italia (Chassis-No. TS 70464 LCO, Body-No. 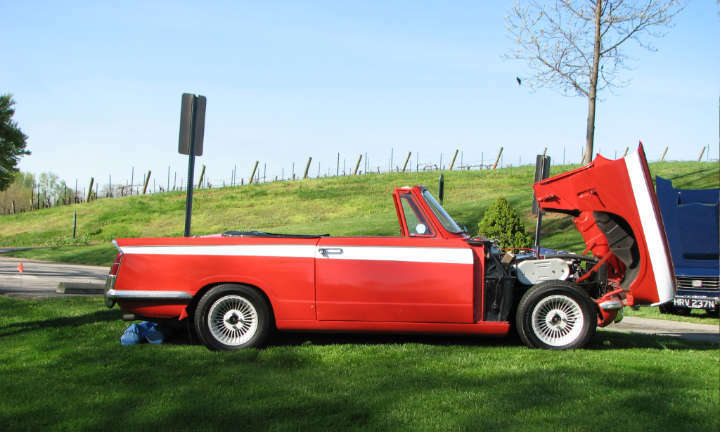 134), which was under restoration 3 years and now back on the road since last June. I understood, in the US there is a Italia-Register/Club, and I would be more than pleased to be member of. Could someone give me more infod about it? 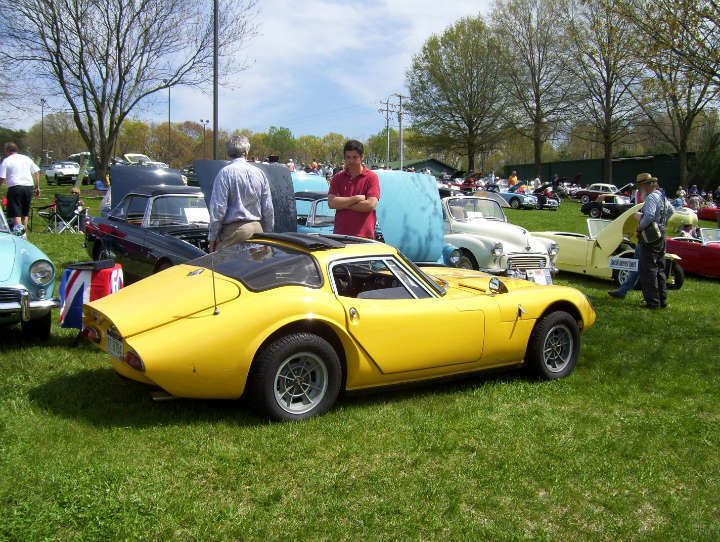 we are a italian company witch product windshield for classic car. 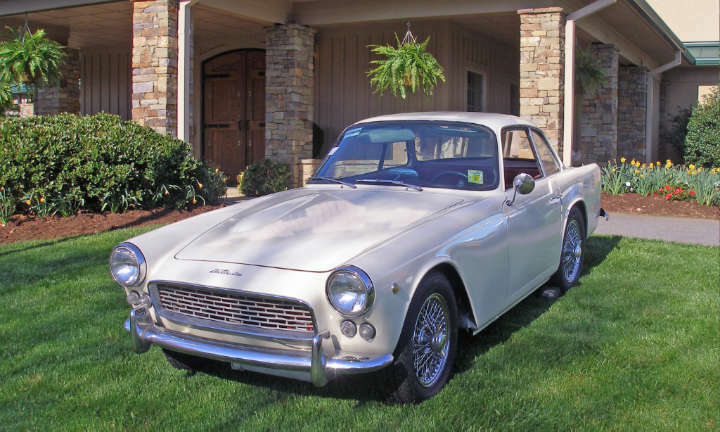 now we have the rear windshield for triumph italia 2000.